Features: 1) 100% Brand new and high quality. 2) High capacity & light-weight, trustable backup battery for your digital device. 3) Single USB port, simple and easy to use, focusing on charging your device in a short time. 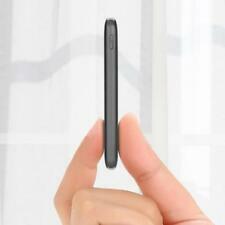 4) The stylish design is slim enough to fit into any bag or even your pocket, similar to the iPhone. 5) Long lifetime, 3 years warranty. 6) Compatible with all Digital device with USB Connector, such as mobile phone, Bluetooth headsets,PDAs, MP3 players, gaming devices, digital cameras,etc 7) Built-in Polymer battery. Specification: . (Capacity: 20000mAh. 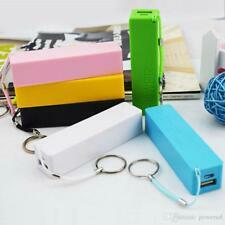 1 x 20000mAh Power Bank (including 1 usb cable). 5)The sleek and stylish design is slim enough to fit into any bag or even your pocket. 6)With a built-in flashlight, you can use it when light is needed. For wireless charging, your phone must have a Qi receiver. Bored with your devices run out of juice when you're enjoying great outdoor activities?. iPhone 8/8 Plus/iPhone X/Galaxy Note 8/Galaxy S8/Galaxy S8 Plus/ S7/S6/S6 Edge Model Requiring a Wireless Charging Receiver (Not Included): iPhone 7/7 Plus/iPhone 6s/6/6s Plus/6 Plus and other iPhones. Can be put in the pocket or bag without a discomfort and the presence of integrated wiring with him makes the charging easier and keep the wire a way from loss or Carry so many things. Capacity : 5000 mAh. 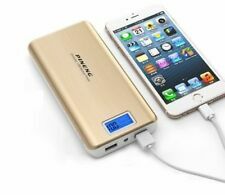 Item Features: This products is a high capacity portable power bank with high performance li-ion cell. The way of charging is connecting portable power bank with USB and laptop. It can easy to use and solve no power for your device anytime. It is safe, reliable and perfect for using on traveling and outdoor activities. Stylish design, Fashionable looking. This power bank can charge your device rapidly and save your power. .
Capacity: 300000mAh. 1 x 300000mAh Power Bank. b.With 3 USB output interface, the phone / iPAD while charging is no longer a dream ~ 3 output, more convenient! Auto power off, make better use of battery energy. 1 x 300000mAh Power Bank. 1 x USB Cable. Battery Type: Lithium Battery. 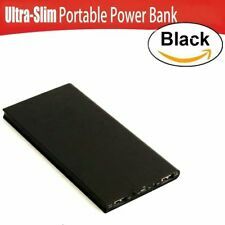 300000 mAh Portable Power Bank Backup. No need worried about battery die issues when go hiking, on the beach, picnic or using outside. Battery Capacity : 5600mAh. 1 xREALMAX® 5600mah Portable Power Bank. Built-in multi-protection system protects the power bank against over current and short circuit. Battery Capacity: 300000mAh. LED Indicator. Just Press The Button Twice, The Led Will Light Up. Output Interface: Double USB. Dual USB Output Port. 1 x USB Cable. High Capacity. 1 x Power Bank.